Actor Erik Estrada, who starred in TV's "CHiPs" during the 1970s and early '80s, was on hand Monday as the California Highway Patrol celebrates its 75th anniversary at the star of late actor Broderick Crawford on the Hollywood Walk of Fame. Crawford starred in the 1950s TV series "Highway Patrol." New CHP Commissioner Michael Brown, spoke at the event. 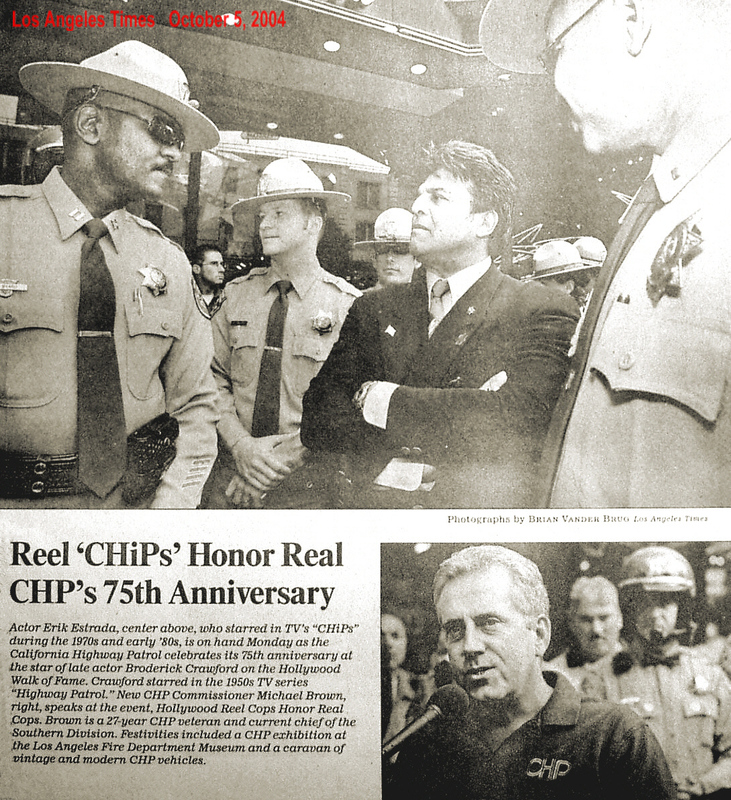 Brown, a 27-year CHP veteran, was Chief of the Southern Division for the past 5 years. Festivities included a CHP exhibition at the Los Angeles Fire Department Museum and a caravan of vintage and modern CHP vehicles.